Our Apple Final Cut Pro X training courses are designed to take you from a beginner to expert in five days. 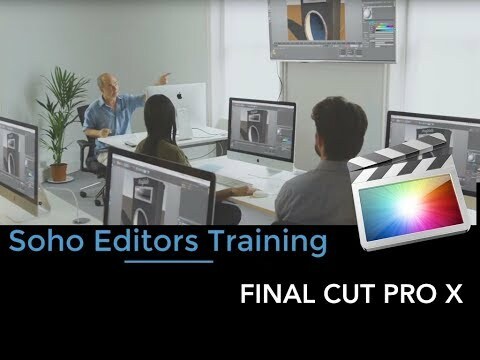 All our Final Cut Pro X training courses are hands-on classroom based with qualified professional trainers to help you through every stage. Our courses are a mix of instruction, hands-on exercises and practical real world experience all designed to give you much more than the basics. Our trainers are all working professionals and Apple certified, so you can expect an education in more than just the software. Our 30 minute introduction to Final Cut Pro X tutorial on the left is only a taste of what you will learn. Search our Apple Final Cut Pro X training courses and filter your results by the experience level and skills you wish to learn. Book 30, 60 or more than 90 days in Advance and watch the price drop. Save up to 30% by booking in advance. Course Details All Apple Final Cut Pro X Certified Pro Exams are available without taking a course.